Losing a loved one can be a very stressful and emotional time for a family, and the prospect of organising their estate is often a daunting and unwelcome task. The Executry process, whereby a deceased’s estate is administered and distributed, is often one that many people find difficult to understand and are wary of becoming too involved with. Here we provide an overview of how a deceased person’s estate is organised in Scotland. We set out what legal documents are important, and what they mean for the surviving family. The first stage in the Executry process concerns an individual’s Will. A Will details how a deceased’s property is to be distributed and who has been selected to carry out this task, called ‘the Executor’. The next step is applying for ‘Confirmation’. This is where the Scottish courts, having been provided with details of the deceased’s estate, grant permission for the Executor to carry out the terms of the Will. There are different kinds of Confirmation, depending on the value of a deceased person’s estate. The process of applying for Confirmation can be quite complicated, given that a deceased’s estate will include everything that they own. The Executor of an estate will have to organise all of the estates, including financial details for tax purposes, and pass this on to the courts. Where there is no Will for a deceased’s estate, meaning that there are no instructions for how the estate is to be organised, the property falls into ‘intestacy’. An estate’s being intestate means that it is distributed according to a different set of rules. There will still need to be someone to distribute the deceased’s estate. However, in the absence of a Will, this person is called an ‘Executor Dative’ and appointed by the Scottish courts. Before the Executor Dative can begin the process of organising an estate, they will need to write to an insurance company for a guarantee that they will organise the estate based on the laws of intestacy. This is called a ‘Bond of Caution’. - A sum of money from the deceased’s estate. However the sum of money available depends on whether or not there are any surviving children of the deceased. These are rights of a surviving spouse or partner to any monies and investments that the deceased left behind. The value of legal rights that they will be entitled to will depend on whether or not the deceased is survived by any children. This is the proportion of the deceased’s estate that is still left unaccounted for, after the Prior and Legal Rights have been discharged. This will normally be distributed amongst the surviving family members. Failing this, the Free Estate will pass to the state. The prospect of embarking on the process of sorting through a deceased’s family members property, and having to allocate different pieces to different members of the family can be a very taxing activity. There will be a lot of paperwork involved and you may be faced with a lot of legal terminology that you are unfamiliar with. It is important to take the time to understand how a deceased’s estate will be distributed among their surviving family. This can make the process much easier to understand, and can relieve some of the stress of family members. 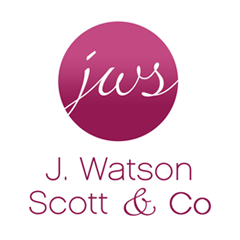 We at J Watson Scott & Co Solicitors Hamilton are here to help. If you are have questions about how to satisfy the terms of a Will, contact our expert team of Executry solicitors now. Our Hamilton office is convenient to Motherwell, Larkhall and areas beyond. We will be able to answer any questions regarding an estate, and give you advice on how to deal with this complicated area of the law.